Most of the tools you will need in making sushi are tools that are already present in your kitchen. You will need a rice cooker, a sharp knife, a mixing bowl, wooden spoon, cutting board, sushi rolling mats, and a plastic wrap. Sushi is basically made up of rice, raw fish, and vegetables. However, the rice used in making sushi must be a sticky one. You may look for the ones labeled with “sushi rice” on the rice packaging or ask a supermarket staff if you can’t find one. Vegetables and fruits like carrots, cucumber, avocado, mushrooms, etc. To start, wash the sushi rice with water and remove any dirt or residue. To make sushi for four people, you will need 3 cups of sushi rice and add 3 ¼ cups of water. Cook it in the rice cooker. 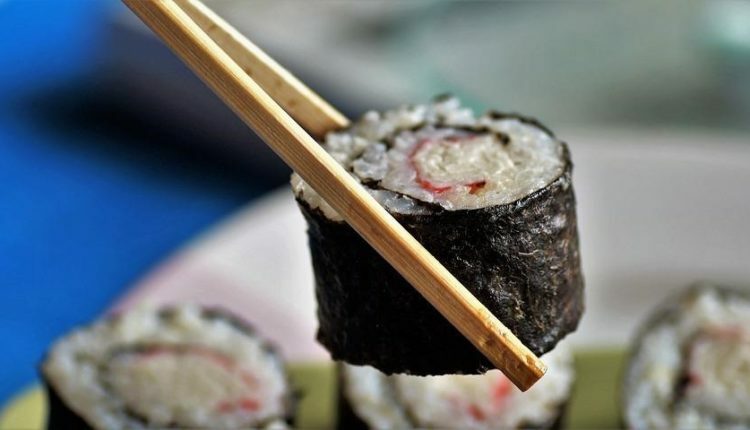 While the sushi rice is cooking, prepare a sushi rice vinegar mixture by adding 1/3 cup of rice vinegar and 3 tablespoons of sugar in a sauce pan. Once the rice is cooked, spoon it into a large mixing bowl then add the vinegar mix lightly. When the vinegar mix is evenly combined with the rice, place the mixture to the side to cool. Place a plastic wrap on top of your bamboo mat and position the nori on top of the plastic wrap. 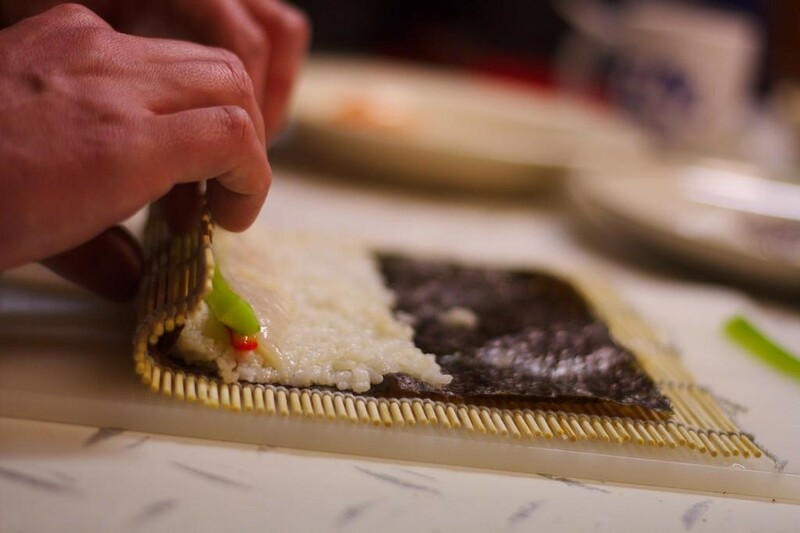 Place a handful of sushi rice horizontally into the three-fourth bottom of the nori sheet. Depending on your chosen recipe, place a thin layer of ingredients on top of the rice. Add a light swipe of wasabi on top. Begin rolling by placing the tip of your fingers on top of the ingredients to hold it in place while rolling the mat. 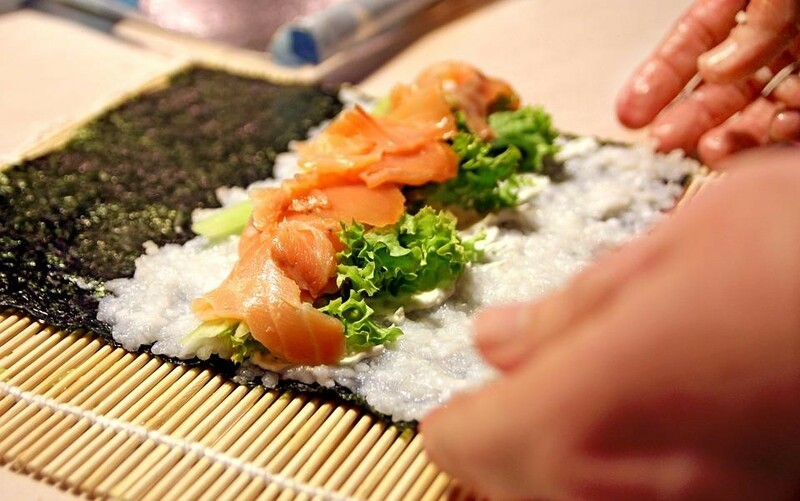 Once completely rolled, place your sushi roll onto a dish plate and cut into six pieces. Get ready to eat your very first sushi roll. There you have it! Those are the things you need to prepare and do when making sushi at home. You can definitely make some from simple ingredients. Have fun doing so! After all, sushi is not only considered a delicious food but also a form of art and legacy in the Japanese culture.